With our relatively dry spring, it’s a great time to prepare garden soil for spring planting. Remove weeds from the area as much as possible. Incorporate generous amounts of organic materials and other amendments, into the sandy soils. Most soils in our area tend to be all sand; they have almost no organic content, resulting in a lack of moisture holding ability and microbial action and food. We like to add a mixture of our royal soil and blended mint compost for vegetable gardens. For herb or flower gardens, we suggest substituting some of our potting soil to the mix to increase the drainage capabilities of the soil. You can also make raised beds to help increase the soil temperature aid in adding new materials to the area. You can simply create a mounded row for your garden, or you can build a raised bed out of wood or concrete block. Start off your beds by adding vital nutrients with additional topdressing of organic soil amendments such as greensand, bone meal or cottonseed meal. You can use a premade with a slow release fertilizer such as our pro perennial plus or organic blend like Vegan Mix or Rose and Flower food. 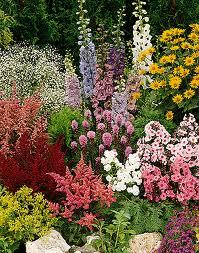 Sprinkle it on the top of your bed and incorporate it into the top few inches of the soil. Add some lime a few weeks before planting to “sweeten” the soil’, raising the pH. Avoid adding lime too close to planting potatoes as it can cause potato scab. Use a soil thermometer to help you know when to plant vegetables. When the soil is consistently above 60°F, plant some warm season vegetables such as zucchini, beans, and cucumbers. Usually this is in the middle of May for our area. In April we recommend planting potatoes, cabbage, broccoli, peas, carrots, cauliflower, onion sets, garlic and lettuce. You can start many vegetables from seed. Make sure you follow the directions on how deep to plant the seed. Bait for slugs as the baby seedlings come up. You can add additional fertilizer to your vegetables as they grow. A good way is to foliar feed them with a water based fertilizer. Organic options include fish and kelp fertilizer, or you can use other nonorganic foliar feeds. Be sure to thin out your seedlings as they grow; use the tiny sprouts in salads and soups. Enjoy the bounty and goodness of the earth!